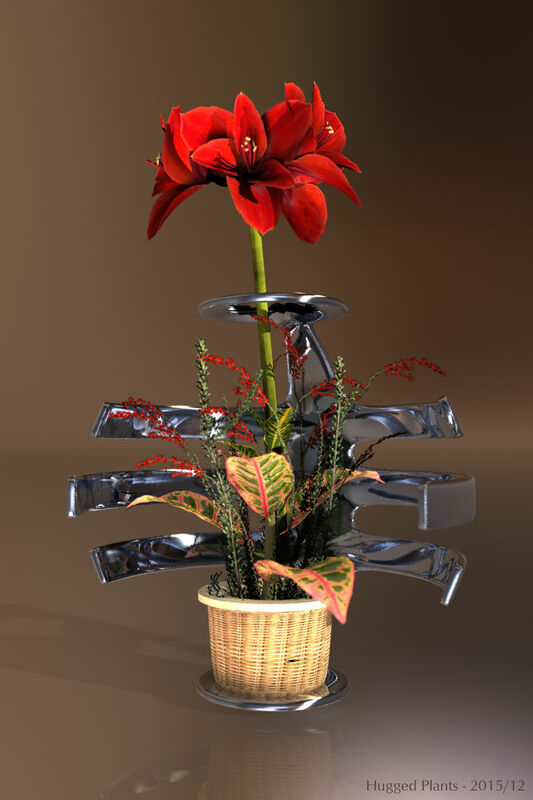 Description: The embracing object was modelled in Wings3D. Plants, flowers and pot are from Xfrog. Background and ambient light by the Living_SC_250_512 HDRI and a bit of sun to brighten things up. 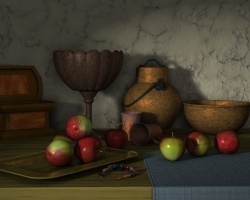 Very nice still life. Good lighting!